With great sadness the CITES Secretariat must report the death of Dr Wolfgang Burhenne, one of the main architects of CITES. Dr. Wolfang Burhenne was the Executive Governor (honorary) of the International Council of Environmental Law (ICEL). His lifelong contributions to international environmental law include his participation in the drafting and promotion of major international environmental treaties, including the creation of the Convention on International Trade in Endangered Species of Wild Fauna and Flora (CITES) which remains today one of the world's most powerful tools for wildlife conservation through the regulation of trade. Dr. Wolfgang Burhenne served as the IUCN’s legal adviser and Head of the Environmental Law Centre in Bonn, Germany. He was one of the founders of the World Wide Fund for Nature (WWF), established in 1961 in the Morges Manifesto. He also served as Chairman of the IUCN’s Commission on Environmental Law from 1963-1969 and 1977-1990. Dr. Burhenne was one of only two persons to have participated in every United Nations Environment Programme Governing Council meeting. Following the Second World War, during which he spent 37 months in Dakau, Wolfgang commenced the study of law. This was interrupted by a call to work in the Bavarian ministry for natural resources. One of Dr Wolfgang Burhenne’s first accomplishments was working with the Organization of African Unity to establish the Algiers Conservation Convention in 1968. He played significant roles in creating the 1982 World Charter for Nature, which was adopted by the United Nations General Assembly; and the 1985 Association for South-East Asian Nations (ASEAN) Agreement on the Conservation of Nature and Natural Resources. 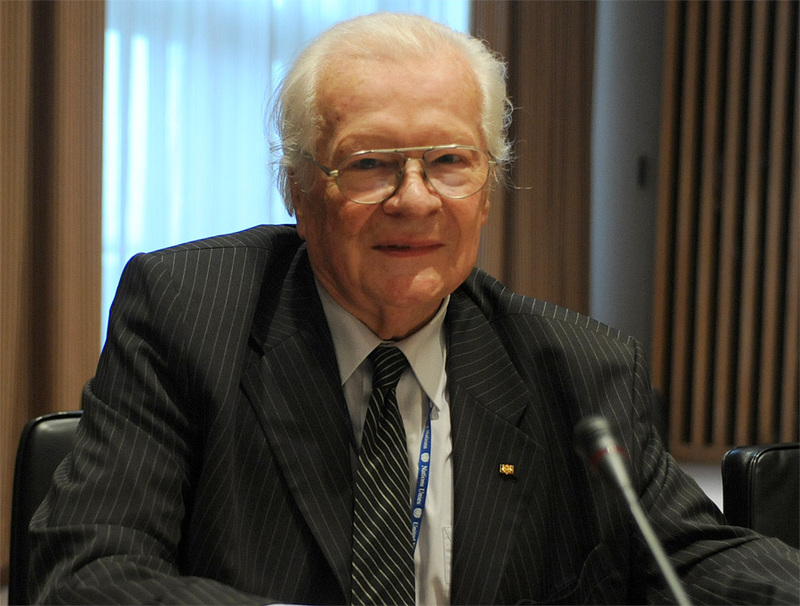 Elected in 1960 as the first Chair of the IUCN Committee on Legislation and Administration (later the Commission on Environmental Law (CEL), Dr. Burhenne went on to become the longest serving Chairman of an IUCN Commission. Among his many honors, he was a recipient of the Elizabeth Haub Prize for Environmental Law, the Environmental Law Institute Award, the Harold Jefferson Coolidge Medal and UNEP Sakakawa Prize. He had truly made extraordinary contributions to the protection of the environment and will remain an inspiration to environmental lawyers and policy makers worldwide. The world has lost one of its great international environmental lawyers and many of us have lost a close personal friend and mentor. His legacy lives on through his vast body of work and through each one of us who benefited from knowing and learning from him.